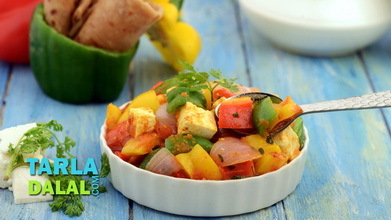 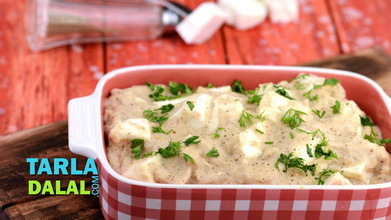 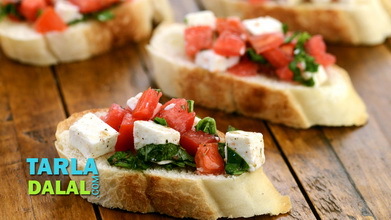 A lip-smacking preparation of paneer that is sure to excite your taste buds. 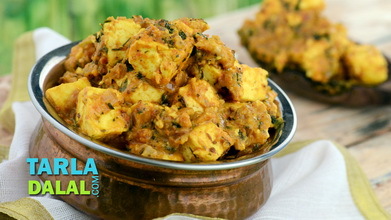 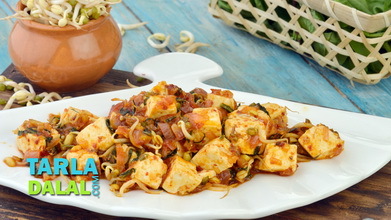 Perfectly suited to the expectations of desi food lovers, Chatakedar Paneer features succulent cottage cheese cubes enhanced with not just tangy tomatoes, dried fenugreek leaves and regular spice powders like chilli and coriander seed powders, but also pav bhaji masala, which gives it an intense flavour reminiscent of the all-time favourite street food! 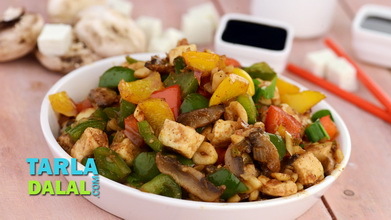 Heat the oil in a deep non-stick kadhai, add the green chilli paste and sauté on a medium flame for a few seconds. 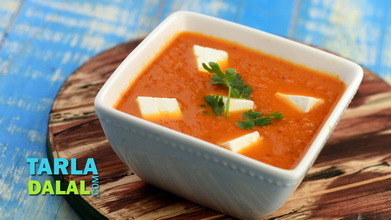 Add the tomatoes, tomato purée , chilli powder, coriander seeds powder, pav bhaji masala, dried fenugreek leaves and salt, mix well and cook on a medium flame for 1 to 2 minutes, stirring once in between. 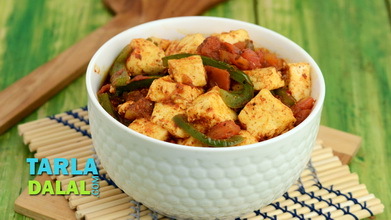 Add the paneer cubes, mix well and cook on a medium flame for another 1 to 2 minutes. 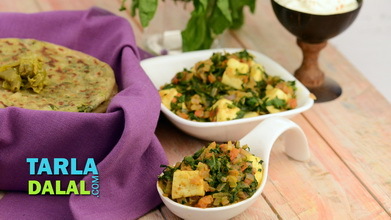 Serve hot garnished with coriander sprig.